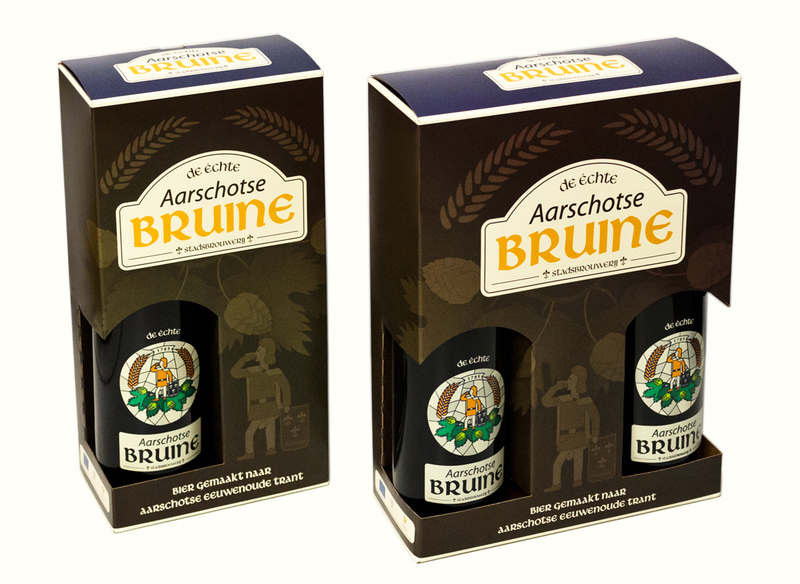 In 2012, the city council of Aarschot was going to relaunch the city beer that was out of production since a long time: Aarschotse Bruine. 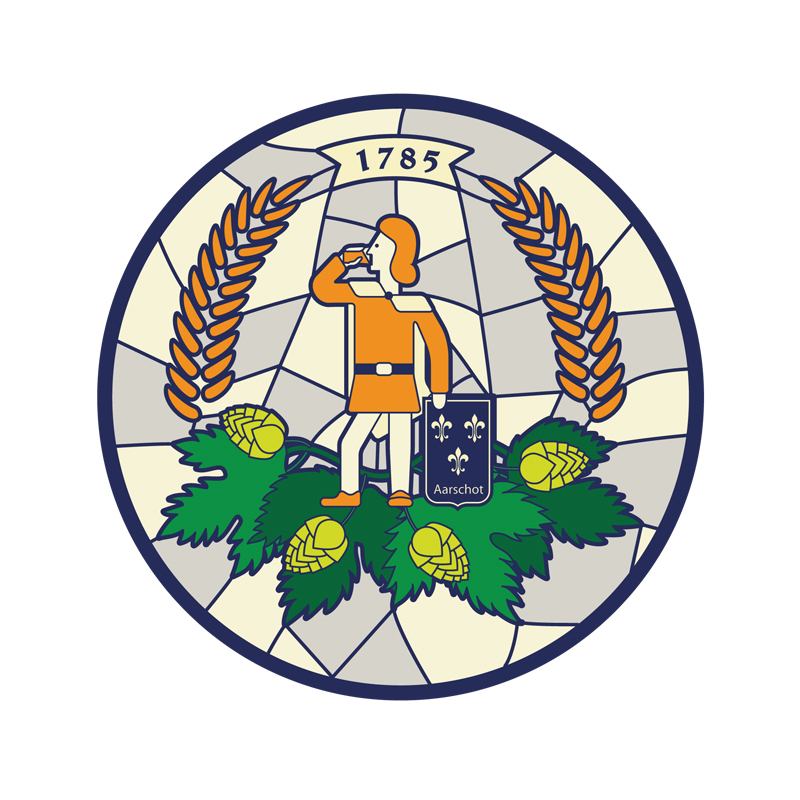 And since I am a beer nerd, I was quite happy that they asked me to redesign the logo. 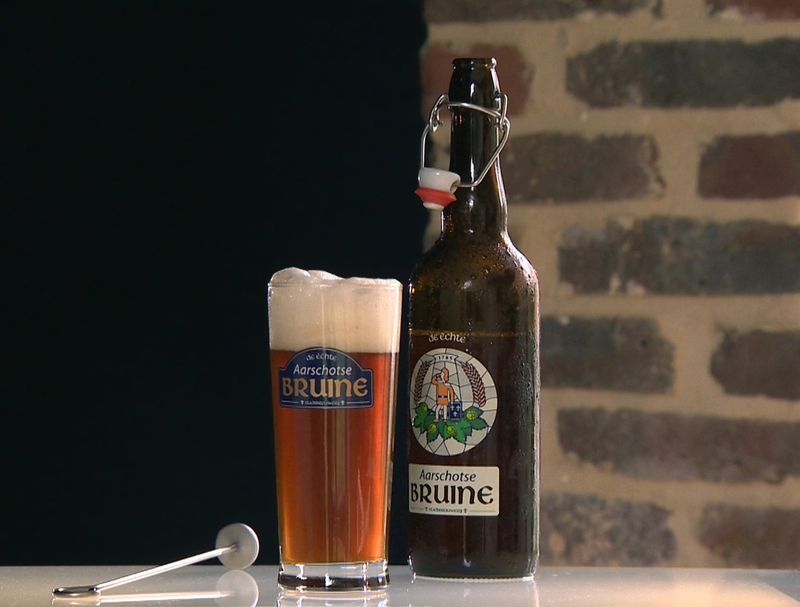 The requirements for the logo were that I would redesign the old logo (shown on this beer coaster) and also that I would use this kind of blue in the logo. For the redesign of the illustration (in particular the knight), I was inspired by A.M. Cassandre. 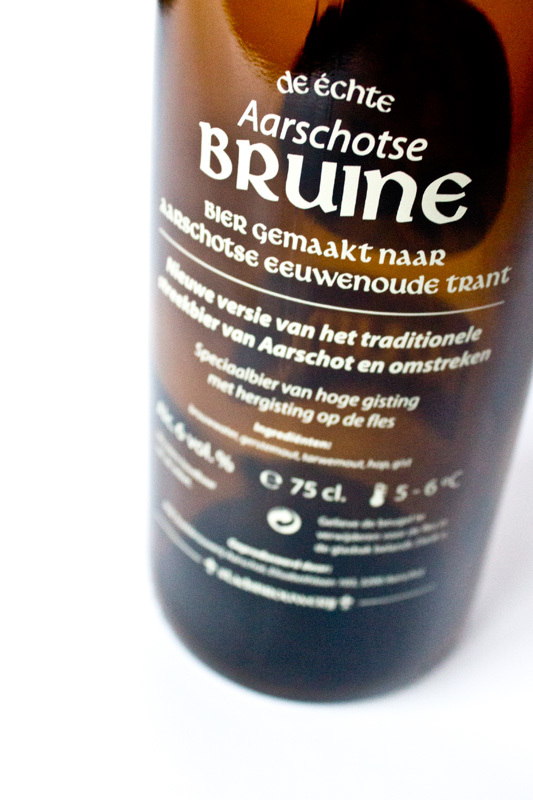 I also used the Myriad font that has been used in the logo of the city of Aarschot at that time for the word Aarschotse. When the logo was finished, I also designed the packaging (bottle, glass and gift box). In 2014 my design was also featured on ﻿OhBeautifulBeer.com.